Marijuana prohibition costs a lot — not just to taxpayers, who have contributed hundreds of millions of dollars to the Obama administration’s war against medical marijuana and provide billions of dollars each year to cover the enforcement of marijuana possession laws. Consumers must buy weed from drug dealers in most states, paying a hefty risk premium whether they are buying for medical or recreational purposes. 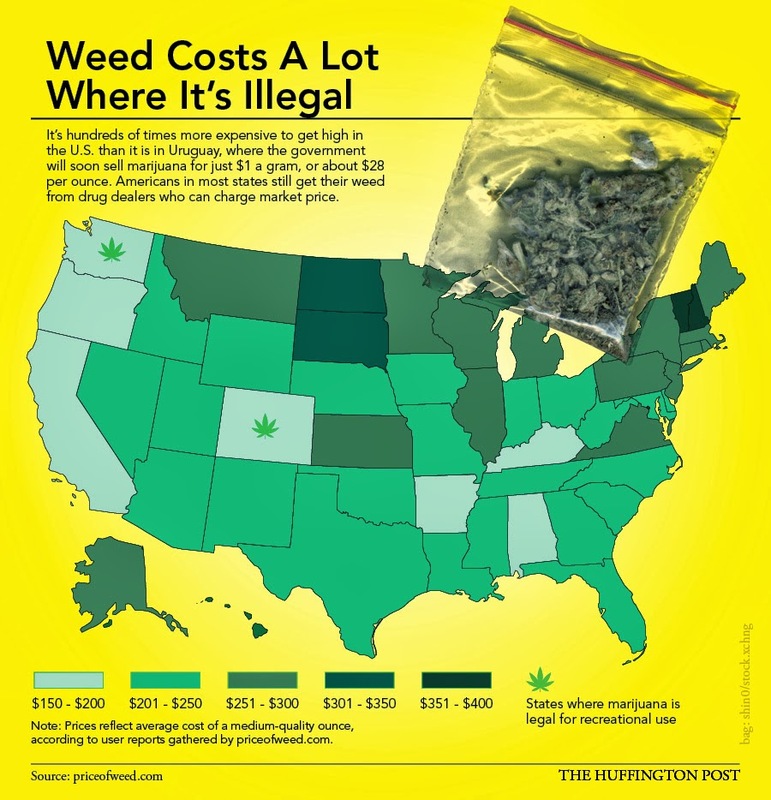 American weed is cheapest in the western states, including Washington and Colorado, where it is legal at the state level but production and distribution remain tightly regulated. 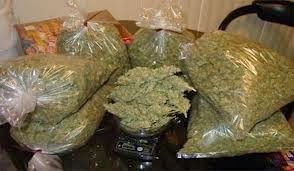 Because growing and storing marijuana is so cheap, some experts predict that weed in an open legal market could cost about as much as “other legal herbs such as tea or tobacco.” This doesn’t take into account taxes or possible changes in demand, but regardless, the money wouldn’t be going to criminals who may be selling harder drugs, have no incentive to sell only to adults, and impose other costs on society and on our legal system. This week Uruguay’s drug czar said the country plans to sell weed for just $1 a gram — not to make money but to destroy the black market. Meanwhile, a Gallup poll released Tuesday shows that a record 58 percent of Americans support marijuana legalization. Infographic by Troy Dunham for The Huffington Post.